Luke is known for being the Gospel of prayer. Jesus is depicted as praying all throughout this beautiful Gospel. He prays for answers, he fasts and prays, and he even prays for strength to go to the cross. So many people have trouble praying. It may be they don’t know how to connect with God, or perhaps because they haven’t the words to express their love and devotion as they would wish. Praying Through the Gospel of Luke, by Berenice Aguilera is a devotional guide to praying. It uses the structure and lessons contained within the Gospel to create meaningful and directed prayers. If you haven’t prayed in years, if you feel unworthy, or you just struggle with finding words, this book can lead you to a joyous and fulfilling relationship with God. Hey Buddy!, I found this information for you: "Desiring God: 31 Prayers Seeking the Heart of God". 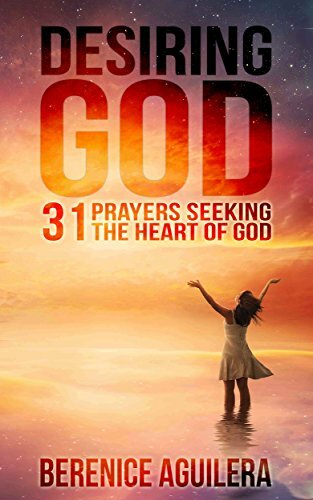 Here is the website link: https://christiansttshop.com/product/desiring-god-31-prayers-seeking-heart-god/. Thank you.